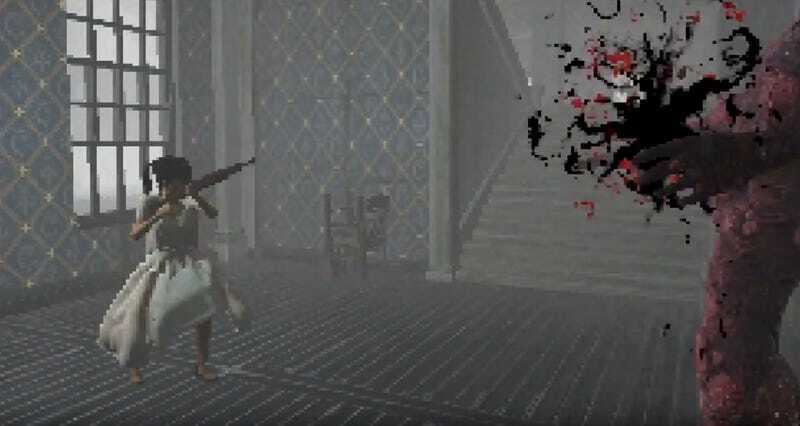 The Glass Staircase is a new release that’s inspired by two things: PS2-era horror games and Italian zombie movies. Specifically, stuff like Silent Hill and Clock Tower from the former, and Burial Grounds: Nights of Terror and House by the Cemetery from the latter. Despite those influences, I’m also getting a strong Alone in the Dark vibe from it—especially from those bathroom tiles—which is a very good thing. The game runs for around 2-3 hours, and lets you explore a haunted mansion as a variety of characters. It’s available here for $6 on PC or Mac.